28 March 2017. A patent dispute among top research universities took another turn, as the European Patent Office announced its intention to grant a patent to University of California for its genome editing techniques. The decision favoring the genome editing technology developed at UC’s Berkeley campus comes weeks after the U.S. Patent and Trademark Office backed competing claims by the Broad Institute, a medical research center at Harvard University and MIT. The dispute between University of California that owns the UC-Berkeley patents and Broad Institute centers on techniques for editing genomes known as Crispr, short for clustered regularly interspaced short palindromic repeats. Crispr is based on bacterial defense mechanisms that use RNA to identify and monitor precise locations in DNA. The actual editing of genomes with Crispr in most cases uses an enzyme known as Crispr-associated protein 9 or Cas9. RNA molecules guide the editing enzymes to specific genes needing repair, making it possible to address root causes of many diseases. University of California based its claims on the work of UC-Berkeley molecular and cell biologist Jennifer Doudna and Emmanuelle Charpentier, now director of the Max Planck Institute for Infection Biology in Berlin. At the time of their patent filing, Charpentier was on the faculty at University of Vienna in Austria that shares in the patent. The California patent claims the rights to Crispr using Cas9 editing enzymes applied to cells from all organisms, from bacteria and other single-cell organisms to more complex plants and animals, where cells have a nucleus containing the DNA. Broad Institute claims, however, that the approach by Doudna and Charpentier largely involves simpler single-cell organisms and is not transferable to cells from more complex plants and animals. In February 2017, the U.S. Patent Trademark Office found the distinction significant, and ruled in favor of Broad Institute in a case where University of California argued that Broad Institute interfered with, or took unfair advantage of, the Doudna and Charpentier technology. By deciding against University of California, USPTO cleared the way for Broad Institute and its licensees to apply Crispr to genome-editing treatments for human and animal health. At the time of the USPTO decision, as reported in Science & Enterprise, University of California said it would pursue a separate patent for Crispr with Cas9 enzymes for all types of cells. 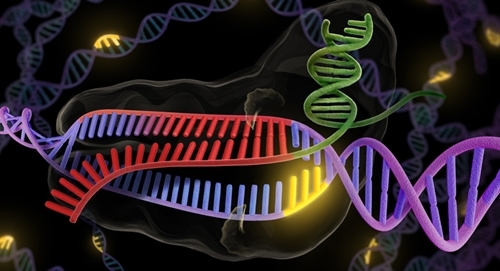 The new decision by the European Patent Office appears to validate that strategy, with the EPO’s intention to grant the university a patent for Crispr using single-guided, or one strand of RNA, for Cas9 enzyme editing. UC-Berkeley says the patent protects its technology in 40 European countries, which can now be licensed for human and animal health, as well as agricultural applications. The Broad Institute’s approach to Crispr is not going away, however, on either side of the Atlantic. In February, EPO announced its intention to grant a patent for Crispr to the Broad Institute, but using an editing enzyme known as Cpf1, derived from bacteria that its discoverers say is smaller that Cas9 and thus enters cells easier. And like the UC-Berkeley techniques, Cpf1 needs only a single strand of RNA to guide it to the DNA for editing.